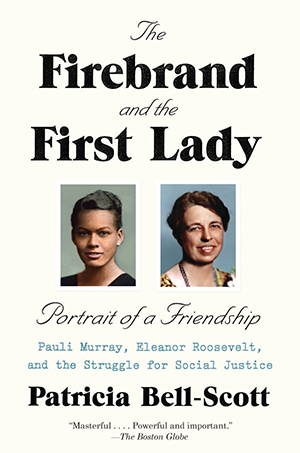 The Firebrand and the First Lady: Portrait of a Friendship is a national best-selling biography of a friendship between Pauli Murray and Eleanor Roosevelt. 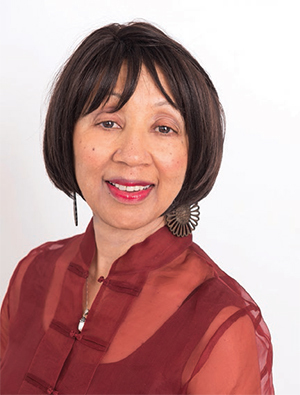 Author Patricia Bell-Scott, a University of Tennessee, Knoxville alum, earned her BA in sociology, and MA and PhD degrees in Child and Family Studies. Now Professor Emerita of Women’s Studies and Human Development and Family Science at the University of Georgia, Bell-Scott spent the last 18 months on a book tour. Motivated by her own scholarship on family, gender, and women’s studies, and encouraged by her own brief correspondence with Pauli Murray many years ago, Bell-Scott spent 20 years researching and writing the book. Carefully placing this “portrait of a friendship” in historical context, Bell-Scott documents the decades-long friendship as it grew slowly and evolved, changing both Pauli Murray and Eleanor Roosevelt. “They were brutally honest, willing to be vulnerable with each other, and did not exclude difficult dialogue,” Bell-Scott says. When Eleanor Roosevelt, a woman of privilege, became First Lady, she expressed views at the political center. Responding to Pauli Murray’s letters, Roosevelt first dubbed Pauli Murray a firebrand and urged patience to the young woman activist who challenged racial segregation and gender discrimination in her writing and activism. As their political views moved toward each other, Eleanor Roosevelt violated segregation laws and supported young student activists. Later in life, Pauli Murray became more willing to work within mainstream institutional hierarchy. Bell-Scott identifies writing, friendship, and understanding history as key themes in the lives of Pauli Murray, Eleanor Roosevelt, and in her own life experience. As an undergraduate student at UT in the 1960s, Bell-Scott benefitted from sociology courses in social movements and urban sociology, and the encouragement of Department Head William Cole. Seeking knowledge about family, gender, and women’s narratives, she pursued graduate work in Child and Family Studies and began her faculty career at UT. As a student in Knoxville, she became friends with students from different backgrounds, and her friendship with one student, Patrick C. McKenry, who became a professor at Ohio State, lasted until his death a few years before she completed the book. Their lifelong friendship between a very different young white man and a young black woman helped her understand how Eleanor Roosevelt and Pauli Murray viewed each other. The Firebrand and the First Lady spotlights Pauli Murray, a feminist, writer, social activist, legal theorist, and Episcopal priest. “We can learn a lot from her dogged persistence,” says Bell-Scott, whose book supports and coincides with current efforts to acknowledge the contributions of Pauli Murray. Yale University recently named a new residential college after Murray, who was the first African American to earn a doctorate of jurisprudence from Yale. The Department of the Interior designated her childhood home in Durham, North Carolina, a National Historic Landmark. Law conferences are being hosted in Murray’s honor in New York and in Washington, DC. Bell-Scott’s book received the 2017 Lillian Smith Book Award. It is under consideration for stage and screen adaptations and was part of a multi-media presentation and performance by the Brooklyn Youth Choir in May. Bell-Scott, however, is modest about her achievement.